With Diwali around the corner, everyone's going to be in a frenzy trying to clean up the house and do their best to decorate it in a unique way. The best part about this is the fact that there is sort of a secret competition with one's neighbours and friends to see who decorates their house best. And each year sees a unique decoration in the neighbourhood. Personally I feel that the best way to decorate your house is with diyas. Diyas are so simple yet so beautiful and they add a different glow to the house making it look and feel more beautiful and cosy. So in this DIY age, I thought why not decorate our own diyas? Sounds like a great idea, doesn't it? Here are some diya-decoration ideas to get you started. I absolutely love this idea of diya decoration! If you too want to decorate your diyas like this follow the instructions below. You may get as creative as you want; no rules apply here. 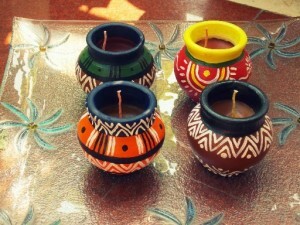 Method: Using a good quality paint brush, paint your terracotta diya in any colour you want. Let it dry completely for 2-3 hours. Once dried, stick the diamante stones or crystals on it in a neat manner with fast drying glue. Also read: DIY handmade Rakhi for your dear brothers! Method: Paint your diya in a colour that complements the colour of your lace. The brighter the better! 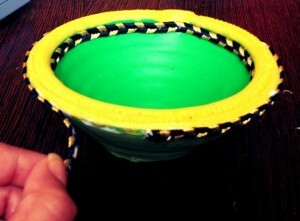 Once it's dry, use fast drying glue to stick your lace along the outer and inner rims of the diyas and let it dry. How easy was that! 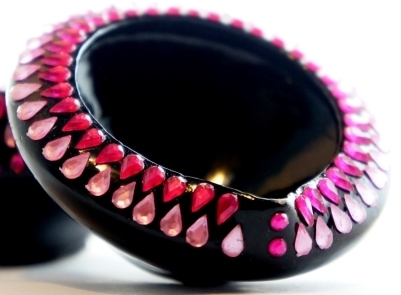 If you have any old imitation jewellery you can break it up and use the pearls or diamantes to decorate your diya. Method: Break up the string of pearl necklace from the hook and collect the pearls in a bowl. 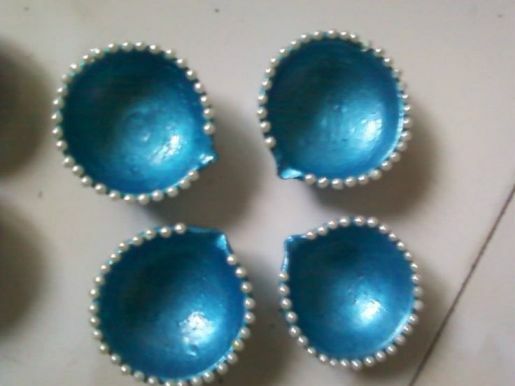 Using some fast drying glue, stick the pearls on the diya as you want and let them dry completely. Doesn't it look pretty! If you like matki diyas get miniature matkis and paint them with bright water colours. Also read: Makeup tips for spec-tacular eyes! 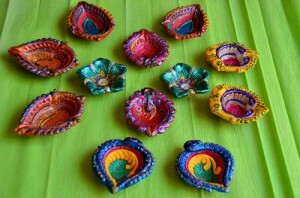 You may also choose to make your own diyas at home. Just mould some clay in a creative shape and bake them for a few minutes to make them more solid. Now paint them with acrylic paints. 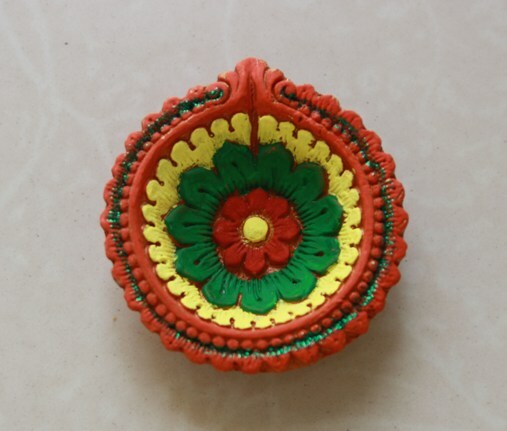 You can make bigger diyas and paint a whole story on them as acrylic paint doesn't run and is fast drying.